Malice is a jig-minnow designed for the casting game off-shore targeting tuna, bonito and other predatory species. The key to targeting these species is the “horizontal fall”. In addition, one must consider the buoyancy and drag from the use of fat shock-leaders. In order to increase the castability, it has been loaded with a heavy weight setting. However, we needed the lure to have contradicting characteristics of heavy weight and slow sinking. We are confident that once anglers get a hold of the Malice you will understand the craftsmanship that has gone into the natural looking form. 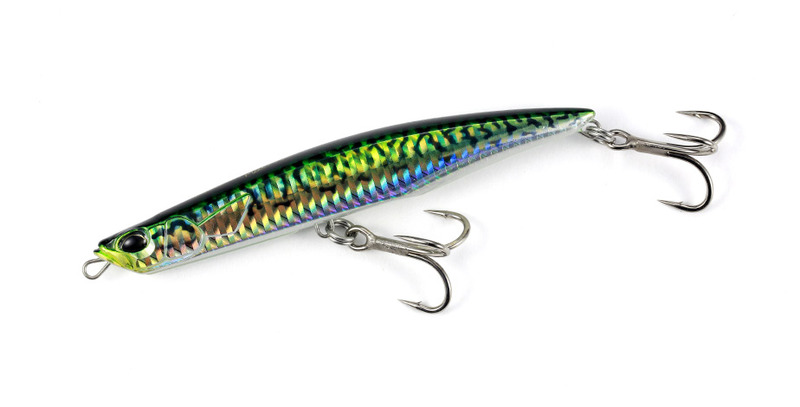 Although it has a slim body, the drag against the body will enable angler to stage a dead-fish like slow falling action. The weight balance has been fine tuned to overcome the contradicting characteristics. Even with high specific gravity, thanks to aerodynamic designs Malice 130 has an outstanding castability even with a thick leader. With an appealing horizontal fall, Malice 130 will produce bite opportunities at times where nothing else works. The key to this game is the split moment of sinking after it hits the water. This lure has been designed to capitalize on this split second.